Google Adwords Advertisers and PPC specialists have been using the SearchForecast AdSense Directory for targeting across the Google Content Network. With over 350,000 AdSense Publishers indexed by 1.2 million keywords, the AdSense Directory provides a targeting placement tool that allows websites to be identified and added to the “Managed Placements” section of the Content Network within Google Adwords. The product originated because of the understanding I gained through Adwords professionals like David Rodnitzky from PPC Associates and Shelley Ellis who are helping clients target sites across the once blind Content Network which Google generates $7 billion a year from! It’s worthwhile noting that “managed placement” will work only if Google gives you managed placement status. In other words, if you are running AdSense on XYZ123.com and Google has not yet identified that site as being qualified as a managed placement, the advertiser can’t target that directly via Google Adwords – but that’s not to say they can’t contact that website and deal directly with the publisher. Growing up in Australia, I understand the power of China – our Asia Pacific sleeping dragon. 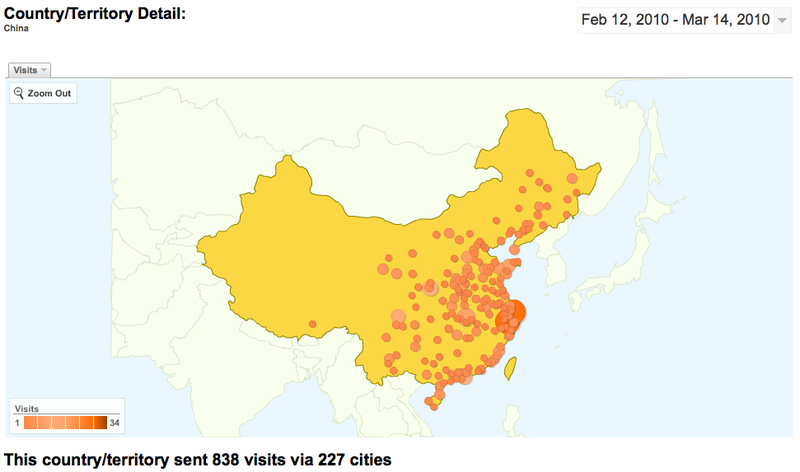 Slow to uptake the Internet, the dragon has breathed fire into Building 43 at Googleplex and now with the Google.cn closure almost certain, we have seen the traffic from China to our AdSense Directory increase over the past month. 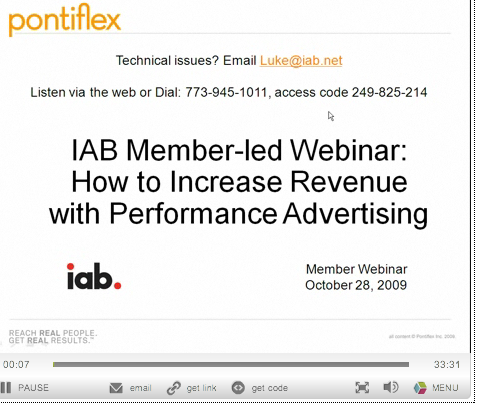 The good folks at Pontiflex are hard at work educating the publishing community on how to increase revenue using the cost per lead business model. That’s where advertisers pay for a completed lead resulting from a form or part thereof being completed. Together with SearchForecast, we are working with them to identify publishers from our AdSense Directory which are best suited to increasing revenue beyond text advertising from Google. Watch the video on Cost Per Lead Now! Qualified leads are very important for advertisers who can pay handsomely for them. For those AdSense Publishers who are looking for extra revenue from their website without disturbing their current monthly check from Google, Pontiflex have over 100 brand advertisers who will pay you every time a visitor completes an advertiser form. What I like about Pontiflex is their commitment to transparency and sharing with their publishers the opportunity to select and choose the advertisers! We recently enabled Retargeter.com as an advertiser on the AdSense Publisher Directory at SearchForecast.org. ReTargeter helps AdSense publishers by bringing traffic back to their sites. I know many marketing VPs here in Silicon Valley who use retargeting technology to build brand credibility – ads show up on premium sites all over the Internet. Here’s how it works….. Mary visits an AdSense publisher, leaves the site and continues to surf the web. One day later she is checking her mail on Yahoo! Mail or surfing Facebook and she sees an ad for your website. Instantly she is not only impressed with the fact that the site is advertising on major premium sites (“wow they must be legitimate”) but she also clicks on the ad, returns to the site. The theory is returning visitors will convert to customers more readily.